Cinnamon essential oil is a type of essential oil used in aromatherapy. The oil has a warm, sweet aroma, and is sourced from the bark of the cinnamon tree. Cinnamon essential oil is said to offer a variety of health benefits. Cinnamon essential oil contains a number of compounds thought to influence health. These compounds include cinnamaldehyde, which has been found to reduce inflammation and act as an antimicrobial (a substance that destroys or suppresses the growth of microorganisms, including bacteria and fungi). Cinnamon essential oil is touted as a natural remedy for health concerns ranging from cough and colds to constipation. In addition, cinnamon essential oil is said to stimulate circulation, reduce stress, relieve pain, fight off infections, improve digestion, and protect against insects. Despite its long history of use in aromatherapy, cinnamon essential oil has been tested in very few scientific studies. To date, research on the health effects of the aromatherapeutic use of cinnamon essential oil is very limited. However, a number of studies suggest that compounds found in cinnamon essential oil may offer certain health benefits. 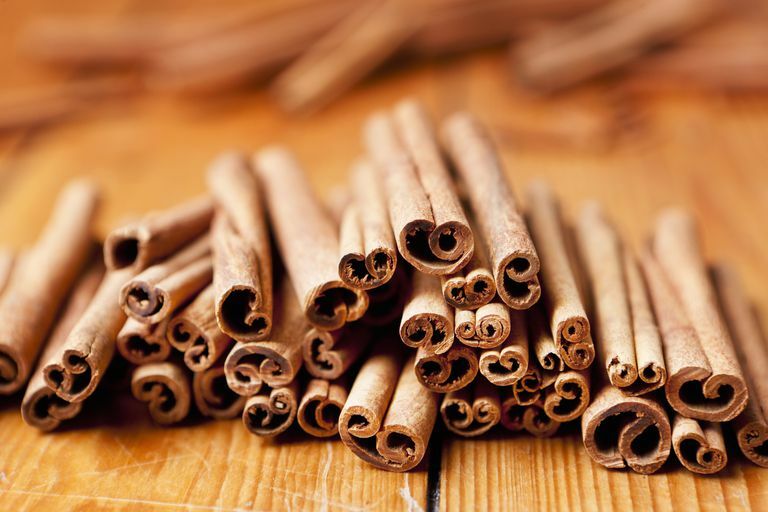 For example, preliminary findings from laboratory studies and animal-based research indicate that compounds found in cinnamon essential oil may help destroy Streptococcus mutans (a type of bacteria closely linked to the development of cavities), promote widening of the blood vessels (and, in turn, possibly aid in the treatment of high blood pressure), and control diabetes (in part by regulating blood sugar levels). It's important to note that none of the above studies tested the aromatherapeutic use of cinnamon essential oil. It should also be noted that ingestion of cinnamon essential oil may have harmful and potentially toxic effects. Cinnamon (particularly Cassia cinnamon) is high in coumarin, a compound that can be toxic to the liver and kidneys if used in excess amounts. (Coumarin can be absorbed through the skin and cause adverse effects even if it isn't ingested.) Coumarin can also have a "blood-thinning" effect. In addition, some individuals may experience irritation and/or allergic reactions when applying cinnamon essential oil to the skin. It's also important to note that self-treating a health condition with cinnamon essential oil and avoiding or delaying standard care may have serious consequences. When combined with a carrier oil (such as jojoba, sweet almond, or avocado), cinnamon essential oil can be applied to the skin or added to baths. Essential oils can cause chemical burns and other adverse effects if they aren't properly diluted in a carrier oil or applied directly to the skin. Cinnamon essential oil also can be inhaled after sprinkling a few drops of the oil onto a cloth or tissue, or by using an aromatherapy diffuser or vaporizer. Keep in mind that aromatherapy products do not need FDA approval. You can find a lot of tips on purchasing essential oils online. Widely available for purchase on various sites, cinnamon essential oil is sold in many natural-foods stores and in stores specializing in self-care products. Chaudhari LK, Jawale BA, Sharma S, et al. Antimicrobial activity of commercially available essential oils against Streptococcus mutans. J Contemp Dent Pract. 2012 Jan 1;13(1):71-4. Tung YT, Yen PL, Lin CY, Chang ST. Anti-inflammatory activities of essential oils and their constituents from different provenances of indigenous cinnamon (Cinnamomum osmophloeum) leaves. Pharm Biol. 2010 Oct;48(10):1130-6. Xue YL, Shi HX, Murad F, Bian K. Vasodilatory effects of cinnamaldehyde and its mechanism of action in the rat aorta. Vasc Health Risk Manag. 2011;7:273-80.